We should all know that bullying is in fact a problem in our society, and it is even more evident in places with greater amounts of people living there. Bullying affects many things in one’s everyday life, so it is especially important to have bullying under control. Not only are you subject to physical bullying, but also you are mental and emotional bullying. A lot of people may or may not have experienced bullying directly, however it is a very important issue. Interestingly enough, a recent study came out to show that nearly one in every five kids in New York City public high-schools has been a victim of bullying. 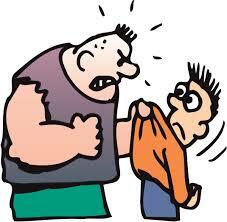 As surprising as that may sound, the problem of bullying does not seem to be too widespread in BSGE. Or is it? As agreed by most sources, bullying can be classified as unwanted, aggressive, repeated behavior among people. These interactions usually involve power imbalance. This may seem as a rare sighting in BSGE, however many times, victims of bullying will stay silent because of their feeling of isolation and helplessness. Both students agreed that the correct way to deal with these situations is to leave it alone, and tell an adult about it as soon as possible, no matter how largely you see bullying as an issue. He then added that within BSGE, the adults “create an environment where students can really talk to adults about what’s going on, not just academically, but personally.” Mr. David-Lang added, “Since a school should be a place where children feel safe, and adults are looking out for children, kids and adults should be expected to relate to each other as people.” He also advises victims of bullying to seek help from teachers and counselors, if need be. Overall, bullying is a big issue in many schools worldwide, so it is important that we keep it away from the BSGE community as much as possible.